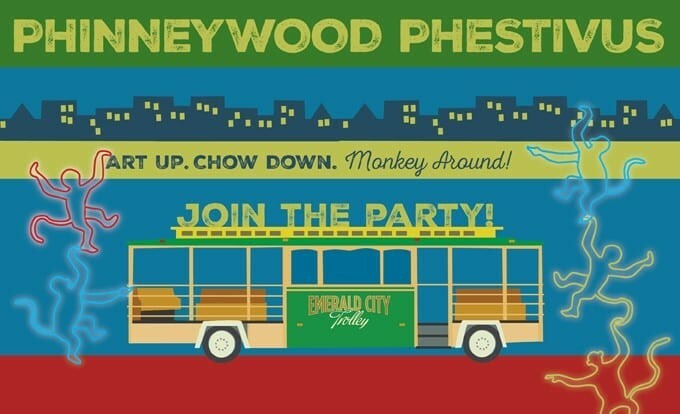 PhinneyWood's art walk/party/"monkey crawl" celebrates the neighborhood's spirit animal with light-up monkey decorations and a Phestivus Pole (the old air-raid tower, garlanded and monkey-fied). Wear an ugly sweater to participate in the pub crawl and get deals on food and drinks at participating restaurants and bars. The Emerald City Trolley will also be giving free rides between 59th and 87th Streets.